This month’s inspirational interview is with Deeyah, a critically acclaimed music producer, composer, Emmy and Peabody award-winning documentary film director and human rights activist, is known for her outspoken support of women’s rights, freedom of expression and peace. Her documentary about Honour Killing, ‘Banaz: A Love Story’, just won an Emmy Award. Her many projects include: Listen to the Banned, which features censored, persecuted, and banned artists from different corners of the world; the Fuuse WOMAN music series, which celebrates the voices of women and the traditional music forms of their lands, as well as the Fuuse Heritage Series; Memini, online remembrance initiative that is set up for victim of honour killings; and HBVA which she also co-founded with Joanne Payton as a result of making Banaz. You can read Part II of this interview here. 1. Tell us about how you became interested in working to stop forms of violence against women such as honour killing and forced marriage. I have always had a deep interest in the concepts of honour through the years, but I wanted to explore this interest in greater detail. 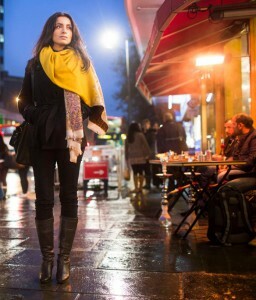 In 2010 alone, 3,000 honour crimes were reported within the UK. Despite these staggering figures being considered the ‘tip of the iceberg,’ many young women are let down by officials. This is due to their lack of understanding and training in identifying the signs of an honour crime, fear of upsetting cultural sensitivities, and a general apathy towards violence against women in minority communities. Honour-based violence is little understood in the West, which has alarming consequences for women and girls. These crimes are under-reported, under-researched, and under-documented, which leads them to be misunderstood, overlooked, and misrecognised. 2. Your documentary about Honour Killing, ‘Banaz: A Love Story”, just won an Emmy Award. When did you first come across Banaz’s story and why did you choose to focus on her story out of the many cases of Honour Killing out there? What was both unique and typical about Banaz’s story? In 2009, I decided that I wanted to make a documentary about honour killings. I started by reviewing an extensive list of cases across Europe that could help me understand the extent of this issue within the diaspora. I was planning on telling the stories of four different cases, of which Banaz Mahmod was one. Her case was the best illustration of the constructs of honour, the lack of understanding around this topic in the Western world, and the severe need to do more across social, political, and community lines. As a result, Banaz’s story became the anchor for the topic of the film, showing the lessons needed to be learned from her tragic death. Banaz’s life and murder is just one among thousands of stories around the world where families chose to obey their community, instead of honouring their duty to love and protect their children. Through Banaz’s story, which covers many of the classic patterns of honour crimes and oppression, I was able to explore the broader topic of honour killings, which is becoming prominent within the disapora communities in Europe and the US. The reason I ended up choosing the story of Banaz was not because of the horror, but because of the love. After death, there were people who loved her and cared about her – one of whom was Banaz’s sister, Bekhal, who sacrificed her own safety and peace of mind for the sake of her love for her sister. I have the greatest respect for Bekhal because her courage and determination defines true honour for me. 3. Violence against women and girls is a social justice and human rights issue that seems particularly insidious and difficult to eradicate because it is so often part of cultural institutions and the accepted social norm. 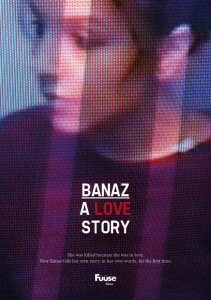 How do you think documentaries such as “Banaz: A Love Story” which directly addresses the role of culture in perpetuating violence against women would be able to trigger social change within the cultures where this is the norm? Her story carries all of the lessons that Western authorities need to learn in order to better support and protect people at risk of such violence and abuse. I deeply regret that it took her death for people to start the process of learning more about this problem in the UK. Although measures have been taken to improve the understanding surrounding this, there is still a very long way to go before we can adequately understand, protect, and support women at risk. We don’t need empty slogans or lip service; we need real, effective action on this issue. Living in Western societies, we need our lives as “brown” women to matter as much as any white British, Norwegian, French, German, Swedish, American, or European woman. We must challenge these paradigms in every way we can. Centuries old mindsets that are entrenched gender roles and power relations will take time to change, but we can make a real and immediate difference by challenging the lack of awareness, political will, and sufficient training and understanding. There is a tendency to be cautious and culturally sensitive when it comes to crimes occurring within ethnic minority communities. We have reached a point where the abuse and brutality against ethnic minority women is overlooked because people are afraid of being labeled as racist. If we worry about offending communities by criticising honour killings, then we are complicit in the perpetuation of violence and in the restriction of women’s lives. Our silence provides the soil for this oppression and violence to thrive. It is not racist to protest against honour killings. We need authorities, decision makers, and politicians to provide the same protections and robust actions for women of ethnic minority communities affected by honour-based violence and oppression as they would for crimes in any other part of society. We cannot continue to allow this slaughter of women in the name of culture, religion, tradition, or political correctness. If we allow this to continue, we are betraying not only Banaz, but thousands of other women and girls in her situation. 4. “Banaz: A Love Story” is now to be shown as part of the UK’s police training programmes to educate officers on the real threat that face many young women trapped inside honour-based cultures in the UK. What more do you think the UK’s police can do to address the issues of honour killing and forced marriage which are so often interlinked? The film is not being utilised as an official training tool for the police. It’s only being used by individual police teams in different parts of the UK who have reached out to me directly in the last 12 months to ask for copies of the film to use in their training and awareness raising strategies. Within the UK, there are no specialist honour-based violence crime units, despite the tip-of-the-iceberg numbers around these types of crimes being around 3,000 per year. I believe that the police and other authorities need to take crimes and violence against minority community women as seriously as they take any other form of crime. 5. What do you think individuals and communities in cultures that traditionally practise forced marriages and honour killings can do to stop and change these cultural norms? We need to speak out more about this horrifying genocide that is being carried out within our communities under the guise of tradition, culture, and religion. If we cannot firmly acknowledge that these problems exist, how can we begin to tackle this in a robust and honest way? We need to support and stand by young people and women at risk of this abuse and violence. We need to support and educate our men in redefining what it means to be an honourable man, as well as support and help for the men within our communities who do not wish to adhere to these patriarchal notions of masculinity. We should educate British and other Western authorities that they should, and how they can, engage with women’s groups and activists who have a proven track record of experience when it comes to working on these issues. Thank you for sharing this story and for the courage of Deeyah and Bekhal in bringing this issue to light.